Exude pure style dressed in this white 9 to 9 top. 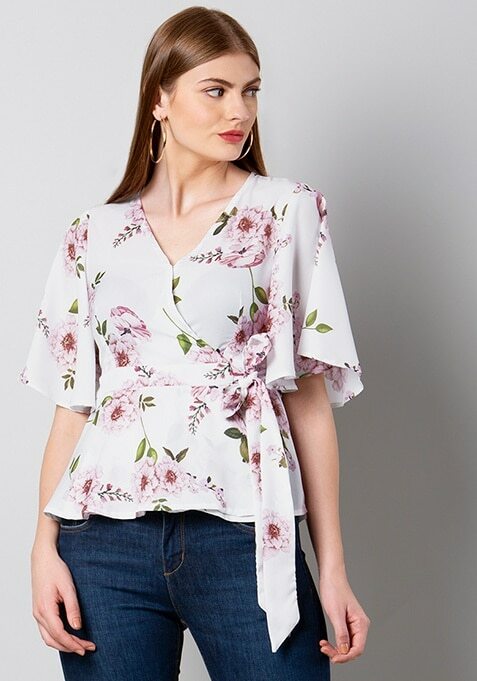 Features floral print, V-neck, flared sleeves and tie-up front. Work It: Style it with skinny jeans and complete your look with dainty gold accessories.